- Reveal your scores for all 22 core and adaptive leadership skills. - Reveal the specific behaviors responsible for your scores. 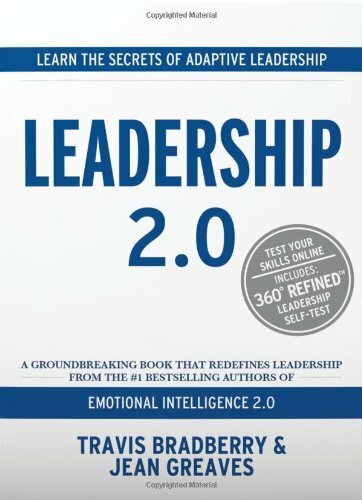 - Pinpoint which of the book's 100+ leadership strategies will increase your leadership skills the most. In today's fast-paced world of competitive workplaces and turbulent economic conditions, each of us is searching for effective tools that can help us adapt and strike out ahead of the pack. Leadership 2.0 delivers a step-by-step program for increasing 22 core and adaptive leadership skills. Core leadership skills (those that get people into leadership positions) will sharpen your saw, and adaptive leadership skills (those that set great leaders apart) will make you into the leader you've always wanted to be. For the first time ever in a book, Drs. Bradberry and Greaves unveil TalentSmart's revolutionary leadership program to help you identify your skill levels, build your skills into strengths, and enjoy exemplary performance in the pursuit of important objectives. Trusted by upper-echelon leaders inside companies worldwide, the strategies in this book will take your leadership skills to bold new heights.